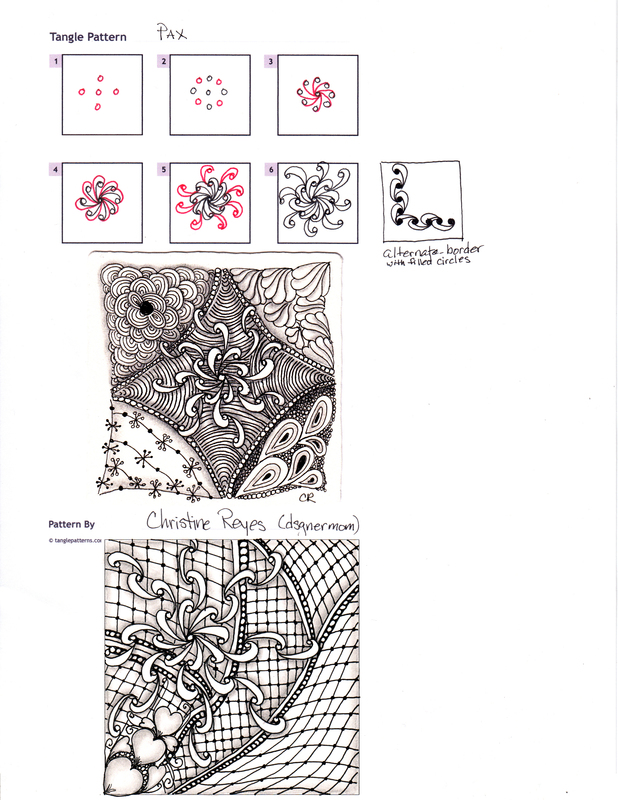 This was a fun tangle to try. 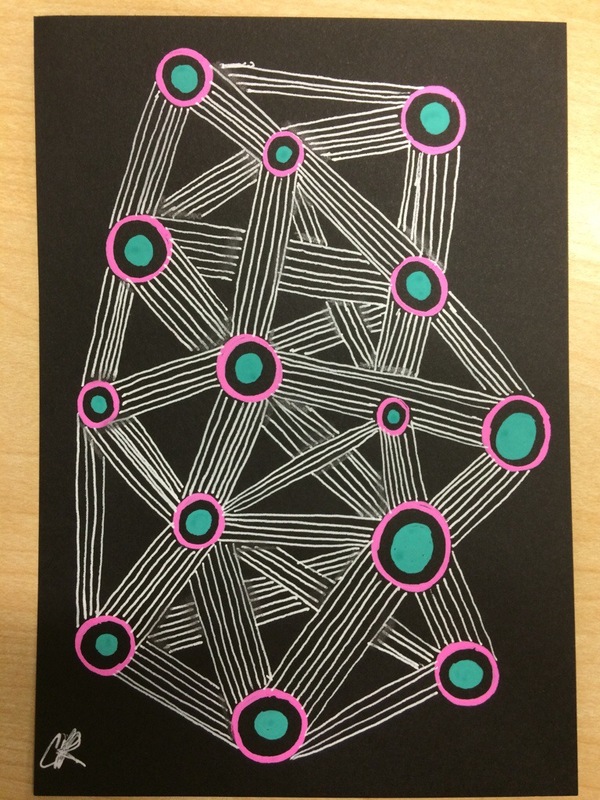 I used gel pens on black card stock paper. This was my first attempt at using a little bit of shading on black. I think I’d like to try shading with a charcoal pencil. If you shade on black, what do you use?